Ready for more time travelling immersive theater fantasy, Delusionals? 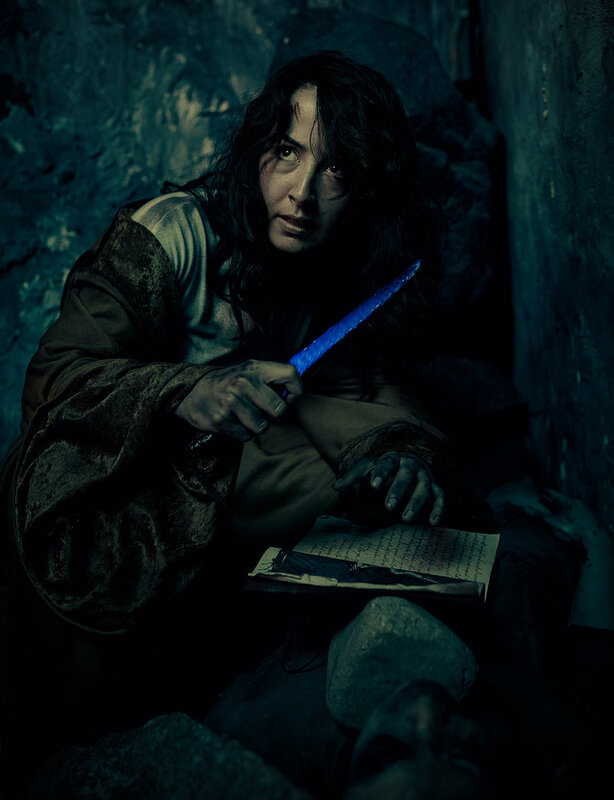 Last fall, Delusion returned with a spectacular new interactive play in the form of Delusion: The Blue Blade. This sci-fi adventure was a bit of a departure from Delusion’s previous horror-centric productions, but it was the most elaborate and complex yet for Jon Braver and his company, and its most successful! On our long list of Halloween season attractions, The Blue Blade was one of our favorites. For those who missed last year’s event, there’s good news. Delusion is putting on its first-ever spring production, a revamped version of The Blue Blade that promises new surprises and challenges that will lend a different experience than the original. So even for those who played in Delusion last year, the 2019 version promises a fresh production. Go get your tickets today! Photo by Robert Kozek, courtesy of Delusion. (LOS ANGELES, CA, January 22, 2019) — Coming off one of the most successful runs of its shows ever, Delusion, the vanguard of interactive theater, has announced that the spring 2019 extension of its new, original play Delusion: The Blue Blade, will be a “Director’s Cut” and will bring with it a number of exciting changes that are sure to captivate current fans of the Delusion Universe and newcomers alike. Highlights of the spring show include new plot twists, new audience challenges, new artifacts, new actors, and more. To tease the new show, Delusion has also released a brand new trailer. Individual and group tickets are now available at www.enterdelusion.com. Heralded by NPR as the “hottest ticket in town”, Delusion has captivated sold-out audiences since its first play opened in 2011, transforming them into characters inside a living, breathing, dark world of epic interactive storytelling.Delusion: The Blue Blade marks the first show for which there will be corporate pricing, group discounts, and a VIP package that includes a behind-the-scenes tour. There is now also a Wait List for fans who want to show up on a given night and fill in for no-shows. All of these additions bring the production to an even broader audience, including those who have never experienced Delusion or interactive theater before.Tickets start at $95. Past seasons have sold out quickly, so we are urging guests to book tickets while they are still available. The Great Company (GreatCo) is a Los Angeles-based experiential studio that collaborates with IP rights holders, global brands, and cultural institutions to produce interactive installations and immersive experiences that connect audiences in meaningful ways and transform the perception of time and reality. GreatCo’s work includes collaborations with Marvel Studios, PepsiCo, and The Smithsonian Institution. A film and theatre director, action coordinator, and Disney Imagineering consultant, Jon Braver’s extensive career has run an exciting path. His love for the fantastical and experience working with some of the top directors in the business has helped to shape his unusual range of talent and keen ability to deliver a unique vision. He began work on his Delusion Universe in 2010 and continues to shepherd the property as it expands to new audiences and formats. When: Feb 14, 2019, through June 30, 2019. Shows run every Thurs-Sunday from 6:40pm - 11:40pm. UpdateW January 19, 2019 DisneylandDisneyland Resort, Disneyland, fireworks, Mickey & Minnie Celebration, Mickey's Mix Magic, It's a Small World, Main Street U.S.A.